Kyle and I are 1.5 weeks into living apart but managing money together. This post is on my initial observations on the money management implications of my move to a new(ish) city, living apart from Kyle, and being paid in a lump sum for three months of work. I’m sure that over the course of my fellowship how we manage our finances will change a bit and I will have new insights by the end. 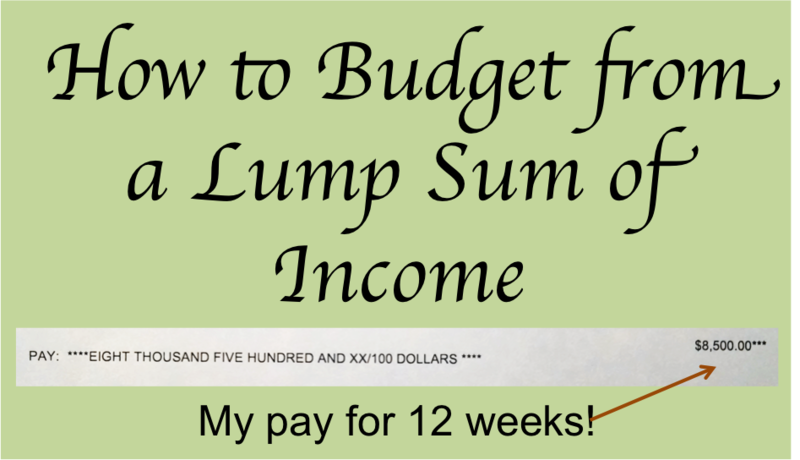 My discussion of lump sum budgeting from Monday was fairly theoretical, and there are various reasonable approaches. We decided to set the lump sum aside and disburse it to our checking account once per month to simulate a regular salary. At the end of January I will pay myself 1/6 of the lump sum ($1,416.67); at the end of February I will pay myself 1/3 ($2,833.33); at the end of March I will pay myself 1/3; at the end of April I will pay myself 1/6. 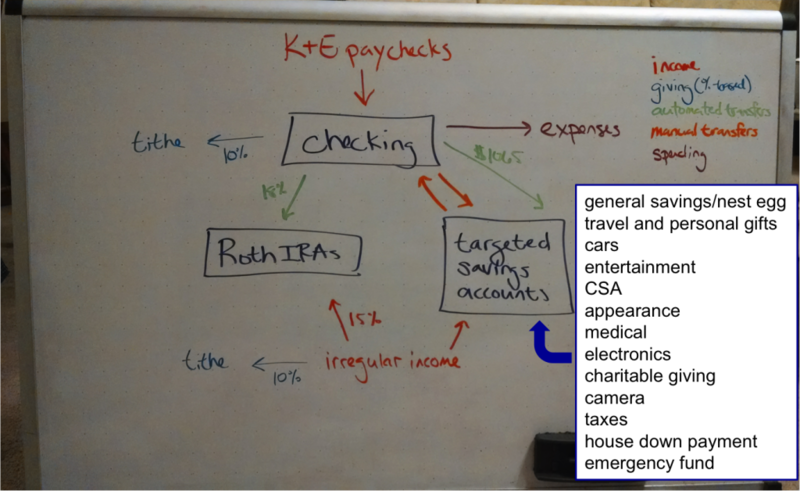 This solution allows us to keep contributing to our Roth IRA in a dollar-cost averaging manner, which Kyle prefers. It will also feel good to have money left at the end of the month to save into our short-term account rather than having to reimburse from savings if we put the whole lump into savings at the start. I’m now living in the DC area with my parents and Kyle is still in our place in Durham. Because my parents are generously not charging me rent this time around, my expenses are nowhere near as high as they might be. But even so, moving has thrown off our old budget to the degree that we aren’t budgeting at this point. I think we would be budgeting if our expenses were near our income, but as I’m confident they are not (because I did project our spending over this period), we are just trying to keep our expenses at a reasonable level. We already took a step away from budgeting when I became funemployed, so we are just continuing in that vein but expecting some additional expenses. Our grocery expenses also may also increase a little. I’m not sure we will be spending more purely by no longer cooking together (I don’t have to stock a fresh kitchen completely because I can use my parents’ oil, seasoning, etc. ), but grocery prices are a bit higher here than in Durham. We are just going to trust ourselves to keep spending reasonably even though we don’t have a budget in place. This is how Kyle lived before we got married, actually, but I’ve always had a budget to keep me in check. The only recommendation I’ll make at this point to couples who are moving apart but keeping joint finances is that the spouse undergoing fewer changes should be the one to take point on managing the money. While Kyle has always been completely abreast of our finances, I’ve been the one down in the weeds playing with the numbers to give our monthly spending reports here on EPF and doing the transfers in and out of savings. Now that I have a new job and a 2.5 hour round-trip commute, I find that I don’t have the time, motivation, or interest to do as much with our money as I used to. Thankfully, most of what I was doing was rather optional. Because almost everything is on auto-pay, we only have to make sure to pay two bills and our credit cards. But I think I will try to shift as much of that responsibility to Kyle as possible because he is less scattered than I am right now. We are also much less coordinated in our spending than we used to be. When we were living together and sharing a car, it was practically impossible for one of us to spend money without the other knowing. We didn’t even need a kind of rule that some other couples have to let each other know when we spend more than $X. In the last two weeks, I’ve put $50 on my Metro card twice and not even let Kyle know, so that is a bit strange for us. Since we aren’t budgeting, though, I guess it doesn’t matter much as stuff like that is an expected expense. We are still passively keeping up with each other’s discretionary expenses, though, because we share a Mint account and talk every night about what we were up to that day. So things are still fairly smooth in the money management department based on the systems we previously had in place. This transition has been a bit challenging, but it looks like we will get through it relatively (financially) unscathed. It’s also great to be thinking about some of these issues as we anticipate our next transition of both of us moving and starting new jobs! Would you choose to pay yourself a regular salary or draw from a lump sum/irregular income only as needed? 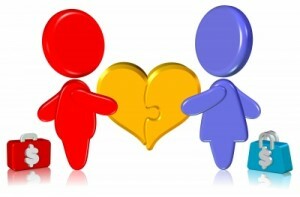 How would you financially coordinate with your spouse if you lived apart? How long did it take you to get an accurate budget in place the last time you moved? 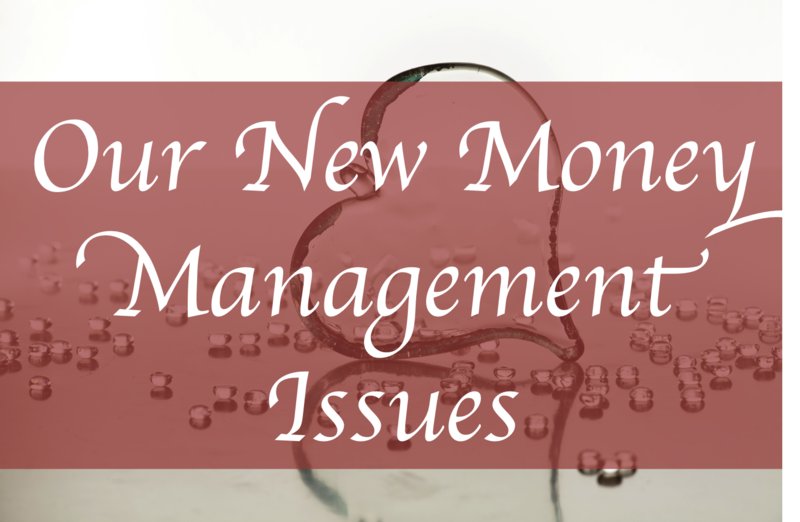 19 Responses to "Our New Money Management Issues"
I don’t have a spouse so can’t comment on that 🙂 But I think when I move it generally takes me about a month to get a rough idea in place and two months to really know what I’m doing. By the start of month 3 I have a very solid handle on my patterns, costs, etc. However, that assumes a full-on move — with start-up costs in a new place (new apartments always seem to require some set of new things you didn’t already own) and initial salary uncertainty (I never know quite what my paycheck is going to look like). When I’ve traveled for a month or two on fellowship, and just moved into a dorm room and brought a suitcase, I’d say I’m pretty much settled within a week, because life is much simpler. It sounds like you are quite experienced in moving! How many times have you done so? I agree with your new approach to budgeting. I think setting a budget is good for people who have been sucked into the consumerist lifestyle and want to try to rein in their spending, or people whose expenses are close to their net income. But once you’ve built your “frugality muscles,” as Mr. Money Mustache likes to call it, I think a budget can actually be counter productive. It can lead to situations where you want to buy something, and instead of making the decision based on whether you really need the item, or how much it’s truly worth to you, you check the budget and say oh hey it’s in my budget for the month, so I’ll buy it. If I had a lump sum payment, I would actually take a completely different approach. I’d take my best estimate of projected expenses (using a cost of living calculator index if need be), add say 10-20% to that for some cushion, and then do a lump sum investment of the rest of the income. Lump sum investing does better than dollar cost averaging 2/3 of the time. Also, if the 10-20% wasn’t enough cushion, I still have the emergency fund to draw down on. As for the spouse question….not married so I can’t comment on that either XD. How long to get an accurate budget…I’ve never budgeted. Though how long to get a feel on expenses…about a month or two. Well, I disagree with you to some extent. Our goal is not to be as frugal as possible or spend as little as possible. What we strive for is balance, which I do think the budget helps to find. But in this period I think we have to accept that we may be a bit off balance but that is okay. Plus, extra savings need to go into our short-term accounts to prepare for our upcoming lapses in employment. But I like your approach for your goal. Heh while it is nice to be able to make my own decisions about money…I do hope to have make compromises with somebody someday! It does take some time! And I think there is a tendency to rely more on convenience items / engage in a bit of self-care when you’re separated from your partner. I was on fieldwork last year and it was hard to say no to the veggie burger in favour of cup o’noodle in my dorm after a long day of working in quite a lonely situation. I’m going to be forgiving to each of us if that turns out to be the case. 🙂 But so far so good in terms of not spending unnecessarily! I’ve been able to get away with going out with people and not ordering anything. Congratulations on the new positions! And on extending your break for another few months. I think tracking is most important, so if that’s all you can do in some periods it’s okay. We are also reevaluating our investments, as I posted about a couple weeks ago – it’s hard! Especially because we love to discover the right answer before taking action but with investing, especially for mid-term goals, there is no one right answer. I like your fake pay cheque idea. That’s how I paid myself when I was self employed with a fluctuating income. Glad to hear that you two are getting along financially while living apart. It must be tough for other reasons though. Thanks! How big of a buffer did you build relative to what you paid yourself monthly? I’ve been too busy to have much time to reflect on my long-distance marriage. I’m just looking forward to seeing Kyle this weekend. The biggest challenge has been living with my parents rather than being apart from Kyle! I definitely agree that the management should primarily be on the person in the couple with less change – it is easier to be consistent and call the other person out if needed. It really speaks to the principle that both people need to be well-versed in the family finances so the responsibility can shift back and forth. Emily, We haven’t lived apart, and I think living apart will probably give some freedom and challenges. I and my wife just promise that we have to be honest and always coordinate. 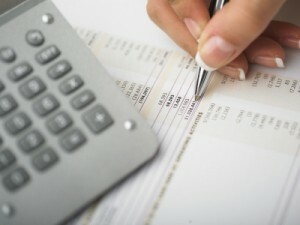 We create budget plans wherein we can access it anytime online. In my case the relative increase in freedom doesn’t seem worth the rest of the challenges! That is great that you both have easy access through file sharing. We keep some of our financial documents in Dropbox but some are just local. I’m about to embark on a training program to deepen my work skills so I will be living apart from my husband pretty consistently for 5 months. I’m the one who manages our money so it will be a challenge for me to be the one on the move. I think as long as we communicate regularly, we should be OK.
Suzanne recently posted..How to Get a Better Life: Earn More! That is quite a long time but it sounds like it won’t be quite all the time so that is good. Yes, it will be challenging – best of luck!